Child malnutrition here is also a critical problem. 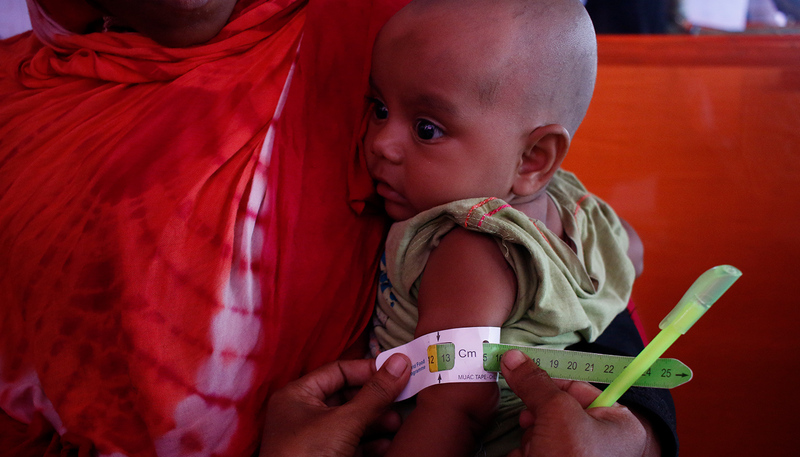 Many refugee children who arrived in the camps last year already suffered from malnutrition caused by poor long-term diets in Myanmar, made worse by the lack of food on their long treks to Bangladesh. 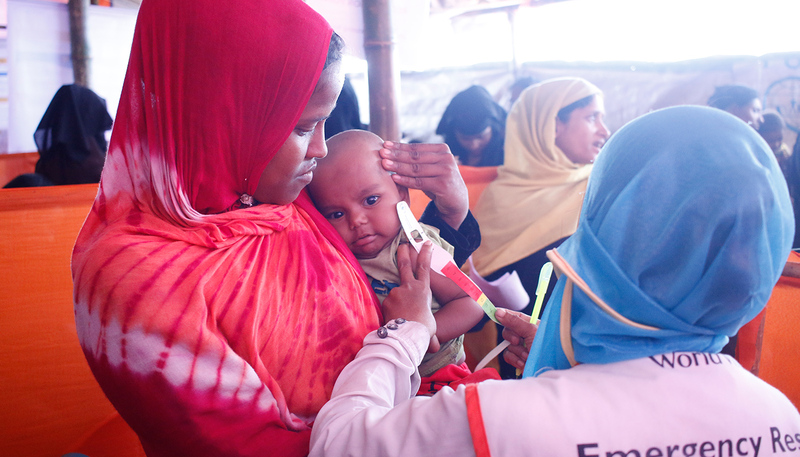 World Vision has just launched a life-saving programme that will prevent and manage moderate acute malnutrition in children age 6 months to 5 years and support malnourished pregnant and lactating mothers. It will run daily from early July until end of December in three densely-populated refugee camps, conducted in partnership with the World Food Programme. Monira and her children were at the front of the line when the first nutrition centre near her home in Camp 10. Monira and her daughter Jasmina during the nutrition status screen being done by a World Vision volunteer. Jasmina’s arm circumference being measured.